I am a Jew who is active in Jewish causes, and has personally had to fight Antisemitism, especially since I started writing. Recognizing the dangers of Antisemitism and the growing problems with anti-Jewish bigotry in the world, IMHO one of the worst things someone can do is make false charges of Antisemitism. Not only does it dilute the effects of real charges of Antisemitism, but it goes against Jewish law regarding how people should talk about each other. “The anti-Semitic threats targeting our Jewish community and community centers are horrible and are painful, and a very sad reminder of the work that still must be done to root out hate and prejudice and evil,” Trump said after touring the National Museum of African-American History and Culture. 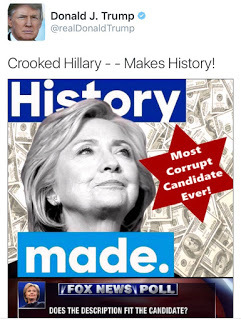 There was the infamous Jewish Star tweet that Trump thought was a sheriff’s badge picture. The picture was insensitive because somebody in the campaign should have known it may have caused problems. But the badge was not in the least anti-Semitic (unless of course one is a liberal). 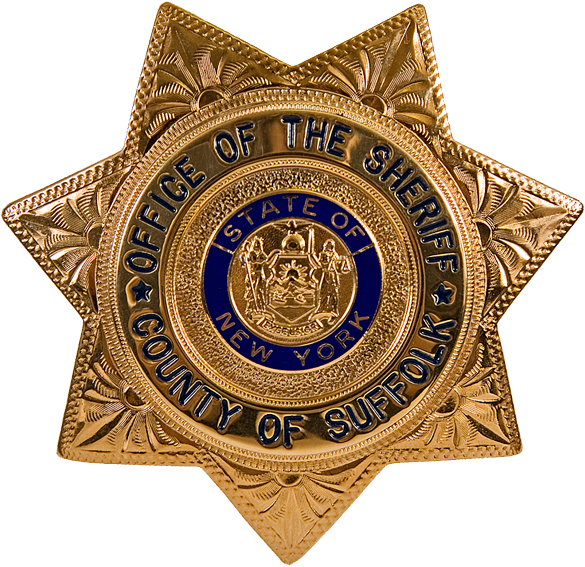 If this Trump picture is anti-Semitic, so is every member of the Sheriff’s department in Suffolk County where I live, whose badges are the same shape (and I can assure you they aren’t). Taos New Mexico and San Francisco sheriffs use the exact same shape to name a few. There were cases of Antisemitism by some of Trump’s alt-right supporters, I faced them as well as others, but not one of those attacks were condoned by the candidate. 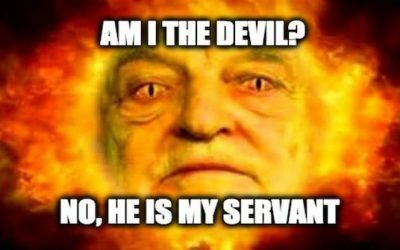 After the election, when Steve Bannon was appointed to the administration, it was another opportunity for the left to label the President as a Jew-hater, after all isn’t Bannon anti-Semitic? No Steve Bannon is not anti-Semitic, nor has he ever been. PUULEESE! So It was OK when Bernie Sanders campaigned on the basis that Hillary was beholden to the big banks? Guess what? The reason Trump didn’t use the word “Jew” was because he wasn’t talking about Jews. Perhaps he was thinking about Occupy Wall Street which used the anti-Semitic imagery that Dreier referred to. 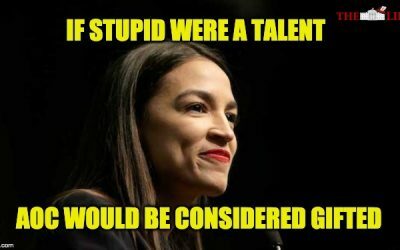 That same Occupy Wall Street was supported by President Obama and other prominent Democrats. Dreier also pointed to the anti-Semites who support Trump. But if he is going to do that, he have also should pointed to the anti-Semites who support Clinton, people like Al Sharpton who led TWO anti-Semitic pogroms in NYC, or the Center for American Progress which was labeled anti-Semitic by the respected Simon Wiesenthal Center. Some said that when Jews were left off the press release for Holocaust Memorial day, it was a display of Trump’s Antisemitism. As I wrote at the time, leaving out Jews was insensitive and ignorant, but it wasn’t anti-Semitic. Mr. President, since your election campaign and even after your victory, we’ve seen a sharp rise in anti-Semitic incidents across the United States. And I wonder what you say to those among the Jewish community in the States, and in Israel, and maybe around the world who believe and feel that your administration is playing with xenophobia and maybe racist tones. I will say that we are going to have peace in this country. We are going to stop crime in this country. We are going to do everything within our power to stop long-simmering racism and every other thing that’s going on, because lot of bad things have been taking place over a long period of time. The very next day in the middle of a press conference where the President was pummeling the press, Jake Turx asked Trump about the Antisemitism in America, which the POTUS mistook as another charge of Antisemitism against him. Poor Jake asked the wrong question at the worst time. 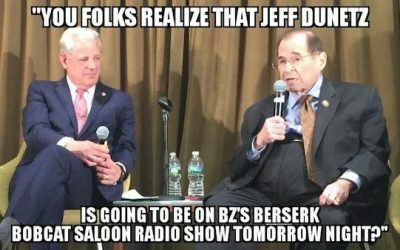 The last question of the Trump/Bibi presser the day before was a question about antisemitism, during the campaign he was unfairly accused of personally being antisemitic, then, in the middle of a press conference where Trump was pounding the press..Jake Turx unintentionally poked the bear. 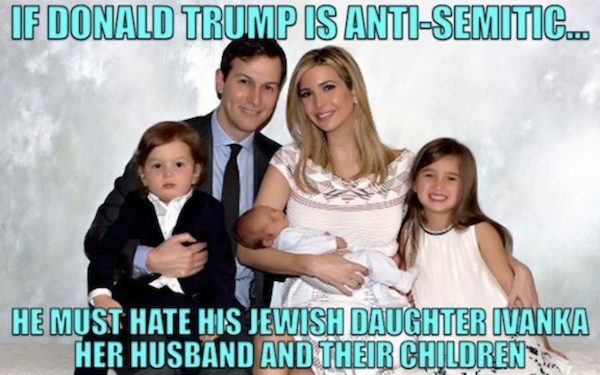 Putting aside for a moment, that for Trump to be an anti-Semite he would have to hate his daughter Ivanka who is a Shabbos-observant Jew, as is his son-in-law Jared Kushner, and their three children. The president’s son Eric’s wife, Lara Yunaskav, is Jewish, and while they have no children as of yet, if they do, by Jewish law all of them will be considered Jewish. Trump has been very generous in donating to Jewish Organizations, and that’s how he earned the honor of being grand marshal of the Israel Day parade. In Jewish charities, typically the highest honors go to the biggest donors. Trump counts Jews among his circle of friends, including Israeli Prime Minister Netanyahu and New England Patriots owner Robert Kraft. What’s really amazing is the fact that the MSM passes along charges of Antisemitism against President Trump — but they ignored eight years of very real anti-Semitic acts by his predecessor, Barack Obama. Beginning with his first campaign for president, Obama surrounded himself with anti-Semites like General Merrel McPeak, 2008 Obama for President Co-Chair who had an impressive resume of blaming our foreign policy on the “Jewish Lobby.” Perhaps the best example of McPeak’s anti-Semitism was when he was asked during an interview why there isn’t peace in the Middle East and he said, “New York City. Miami. We have a large vote — vote, here in favor of Israel. And no politician wants to run against it.” (in other words those pesky Jews, who control America’s policy on the Middle East). One of his first presidential appointments was the anti-Semitic Chas Freeman who blamed his resignation on the evil Israel lobby (a nicer way of saying Jewish lobby). Actually Chas, it was a lot less than an evil Israel lobby, much of it was the work of a few Jewish bloggers — one of whom was named The Lid. Tutu’s co-honoree Mary Robinson presided over the “World Conference against Racism, Racial Discrimination, Xenophobia and Related Intolerance” that turned into a non-stop hate-fest against Jews and Israel. The conference was so anti-Semitic that Colin Powell, the Secretary of State at the time, walked out. Radical Islamists attacked the Kosher supermarket Hyper-Cacher (French for Super Kosher) in Paris on a Friday afternoon. The attack happened just before the Jewish Sabbath when they knew it would be crowded with Jews. Obama first insisted it was a random act and not an anti-Semitic act. And when the world leaders came together to march in Paris as a protest against the Charlie Hebdo shooting and the anti-Semitic Hyper-Cacher attack Obama was conspicuous in his absence. President Obama’s July 31, 2015 phone call, organized by the anti-Israel group J Street and other progressive Jewish groups, also exposed possible Obama anti-Semitism. @nathanguttman @ChemiShalev @kampeas Jews are leading effort to kill #Irandeal. "Same people opposing the deal led us into Iraq war." During the call Lee Rosenberg of AIPAC questioned the President’s statement comparing people who object to the Iran deal to those who supported the invasion of Iraq. He pointed out that many anti-Semites falsely claim the Jews pushed Bush into invading Iraq. Obama explained that Netanyahu supported the Iraq invasion (true). But Bibi wasn’t the premier at the time — he was a private citizen. Of course that didn’t matter to President Obama, he needed to find a Jewish scapegoat so he used private-citizen Netanyahu who was strongly for the war. Also for the war was his V.P. 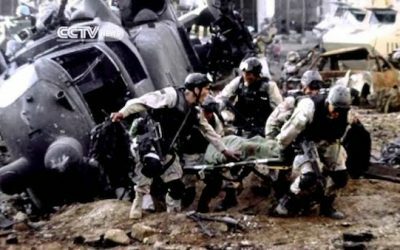 Joe Biden, both of his secretaries of state Kerry and Clinton, and his biggest ally in the Senate, Minority Leader Harry Reid, all of whom supported the invasion of Iraq in congress. During his last month as president, Obama’s State Department condemned Israel for allowing people to build houses on land on the western side of the Jordan River. The land was legally purchased in 2009 by Dr. Irving and Cherna Moskowitz from a US Presbyterian Church. There was no complaints when the Presbyterian Church owned it. Team Obama wasn’t objecting to the fact that houses were being built on that land. If the homes were intended for Christian or Muslim families there would have been no issue. As it is was with so many other cases during the Obama administration, the objection was based on the fact that Jews were going to live in those buildings. NOT ONCE! Not once in all those (and other) cases where Obama and his team seemed to step over the line into Antisemitism territory were there questions from the media asking Obama if he had an issue with Jews. Not once did any of the mainstream media point out Obama’s possible anti-Semitism. But Donald Trump, a man with Jewish grandchildren, Jewish friends, and a man who is a huge (or yuge) donor to Jewish causes is accused of Antisemitism despite the fact that he hasn’t done anything anti-Semitic. Just more proof the bias of the mainstream media. Addendum: Anna Navarro tried to make the case that Trump’s attacks on the media was feeding anti-Semitism. Gee, that sure sounds like Anna believes the anti-Semitic stereotype that the Jews own the media. Watch the video below.